The width of our Pallet Chair and Table is 81cm, the width is 41cm making them suitable for any sized balcony or small garden. The table is 30cm high and the seat height of the chair is 25cm creating a fantastic and natural relationship with the surroundings when they are in use. 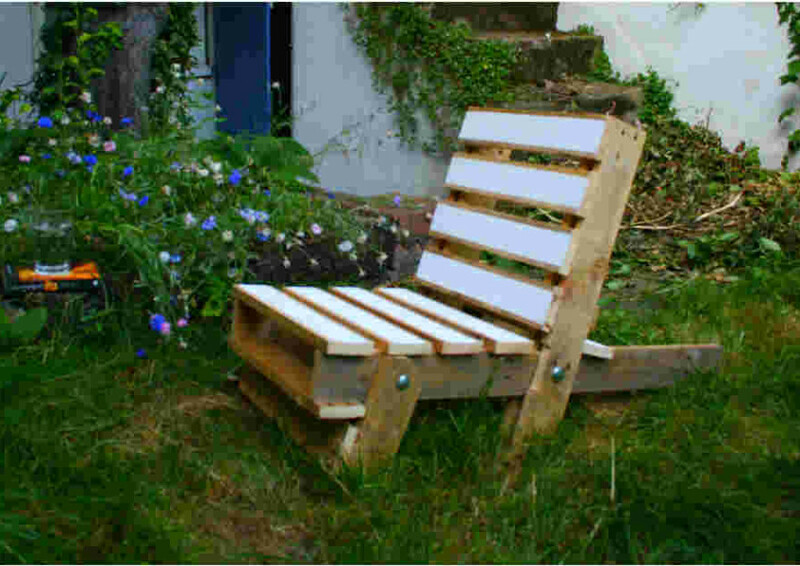 The Pallet Chair and Pallet Table are very popular for the inner city small garden and they can be customised to suit any home. They are comfortable practical making them perfect for a lazy Sunday afternoon and they are robust and extremely functions, making them perfect for a busy summer barbecue party. 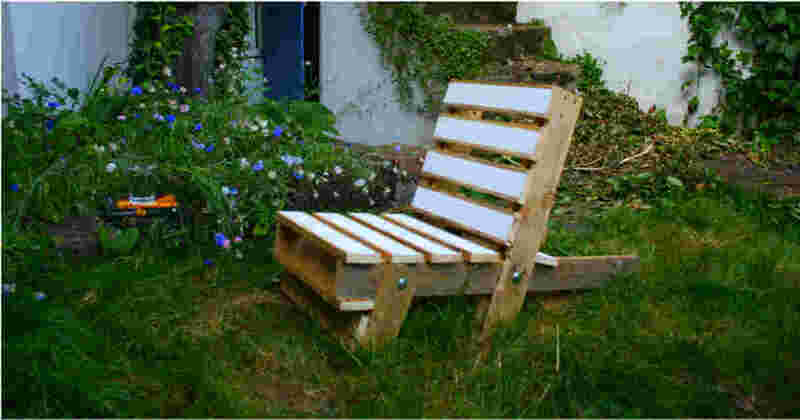 The timber used is taken from unwanted and damaged pallets and each Pallet Chair and Pallet Table is made from a single pallet. Each piece of the reclaimed timber has its own inherent texture and colours which brings our furniture to life and gives each piece its own individuality and character. 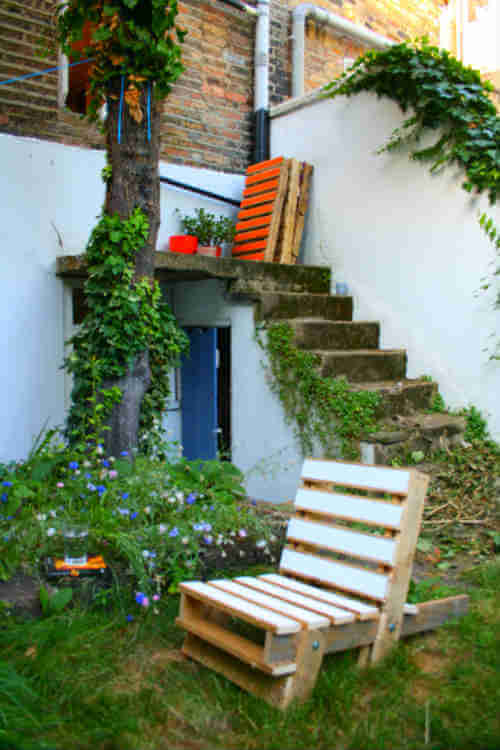 Our pallet furniture is cool and extremely functional with each piece having its own eco-friendly story. We are passionate about the re-use of wooden pallets, thousands of which continue to fill landfill sites and litter streets across the UK. Each of our products are designed and handmade at our workshops in London. All the wood is treated and is exceptionally durable. 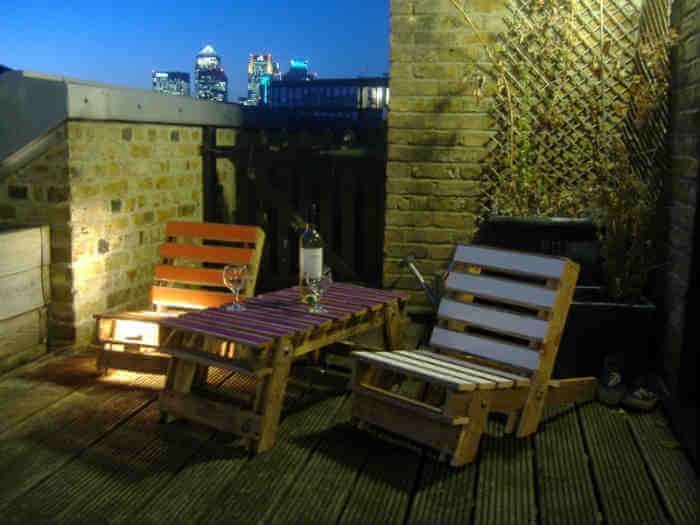 This image above shows our Pallet Chair and Pallet Table on a medium sized balcony in Canary Wharf, London. The timber furniture complements the timber decking of the balcony and the colours really bring the balcony to life. Our furniture is fully weatherproof so they can be left out all year round. They can also fold flat meaning they can be easily stacked and stored away if needs be. If you are looking for some cool, retro balcony furniture that is a little different then our Pallet Chairs and Tables are perfect. Need furniture to suit your balcony or small garden? Please get in touch via info@gasandairstudios.co.uk, we would love to hear from you! For inspiration on how you could your balcony furniture finished please see our ideas board here.